Announcement Unique digital photo gifts for everyday, special occasions & sympathy. Printable downloads, framed photo gifts and more. Inspirational, fun, and unique gifts. We also offer beautiful custom sympathy photo gifts. Why send an ordinary greeting card when you can send a stylish photo gift, personalized plaque or canvas gift instead? Our digital photo gifts make great keepsake gift ideas. In times of sympathy our custom photo gift plaques and framed photo gifts, make beautiful and touching memorial gifts. We also offer free personalization and we will gladly add a note along with your gift on your behalf. Send a gift plaque or photo gift today or buy one for yourself and add it to any room in your home or office! 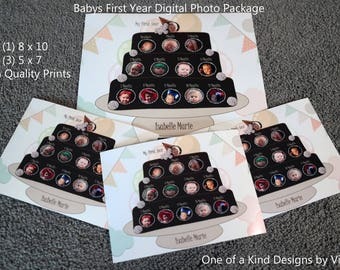 Our unique digital designs and photo gifts are created and designed by Vicki D.
Please call us at 302 892 2572 or initiate a conversation with us through Etsy. Also, when placing your order, if you can please leave a good contact number where you can be reached should we have any questions, that would be great! Thank you for visiting Absolute Inspirations Gift Store on Etsy. Absolute Inspirations loves selling on Etsy! The customer relationships are something we love as well as the great platform Etsy gives us to sell our handmade gifts. Recently we changed our name to better reflect the unique photo gifts made by Vicki D.
We also sell inspirational products of all kinds on our main website Absolute Inspirations. If you can google it, you can find us! Unique digital photo gifts for everyday, special occasions & sympathy. Printable downloads, framed photo gifts and more. Inspirational, fun, and unique gifts. We also offer beautiful custom sympathy photo gifts. Inspirational Photo Gifts Designed By Vicki D.
My name is Vicki DeGraw-Huss and I am the creator & designer of the inspirational, fun and comforting photo products you see listed here on Etsy. I am also the owner of Absolute Inspirations online inspirational gift store. lyrics and I have always enjoyed quotes and found that throughout my life they have moved, soothed or made me laugh. My love for photography started later in life. Combining a digital photograph with the right poem or quote, allows me to fulfill my desire to inspire others, move, soothe or make them laugh. These unique gifts also make great gift ideas for all occasions. I am so happy that you stopped by to visit our store and can assure you that we will take great care in creating your special gift and shipping it to you or the intended recipient in a timely manner. Please call us at 302 892 2572 if you have any questions. Owner of Absolute Inspirations Gift Store. Photographer - Creator - Designer of all the digital photo gift products sold on Etsy. Hello and welcome to Absolute Inspirations Etsy website - custom gift plaques, photo gifts & unique digital designs! Our unique gifts are designed by Vicki DeCarolis and sold exclusively by Absolute Inspirations, LLC. We hope to have the opportunity to create a unique photo gift or digital design for you sometime soon! If you have any question please call us at 302 892 2572.